Enderun Extension, the continuing education arm of Enderun Colleges, is offering interesting Coffee-related one-day workshops this coming October. 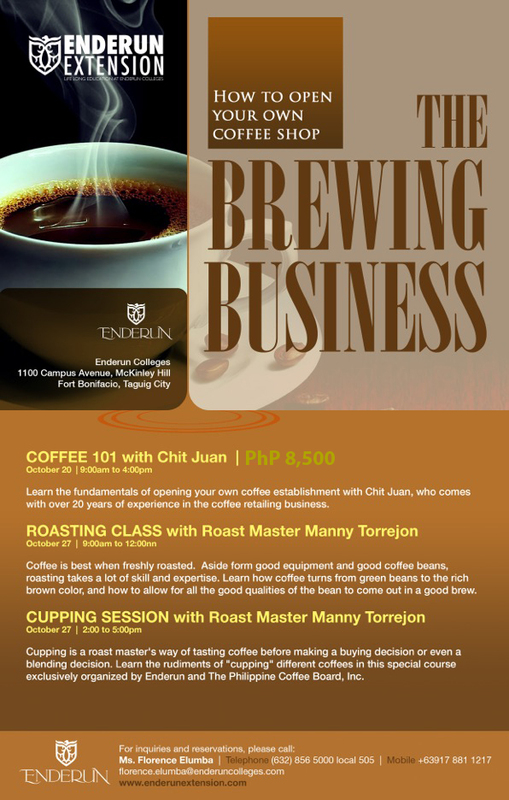 Hosted by Chit Juan (of Figaro Coffee fame) and Roast Master Manny Torrejon, these workshops would probably be great for those who are thinking of putting up their own coffee shops or for those who simply love coffee. For more information, check out Enderun Extension’s Short Courses and Workshops site here. A couple of nights a year, Enderun College’s Resto 101 sets aside its regular menu for special dishes prepared by their very own chefs. This was one of those nights. Dinner tonight was not about Pan-fried Goose Liver, Roasted Barramundi, or my personal favorite, Grilled Australian Pork Chop with Calvados Sauce. 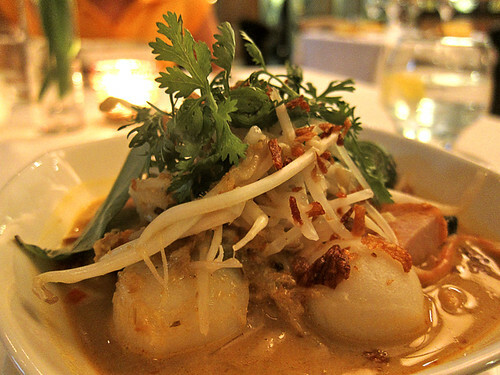 Dinner was all about Chef Cheong Yan See’s famous Laksa and White Chicken. To invite the public to one of these special nights, Enderun usually sends out email blasts to its mailing list. The email usually contains carefully laid out photos of the featured chef and his dishes with properly worded copy to highlight the chef’s accomplishments and explain the night’s theme. Chef See’s dinner needed no such invitation and in fact, there was none. Resto 101 was packed. So, with high expectations and an empty stomach, I came prepared. I love noodles in soup. Add coconut milk and cilantro and you’ve got a real winner! 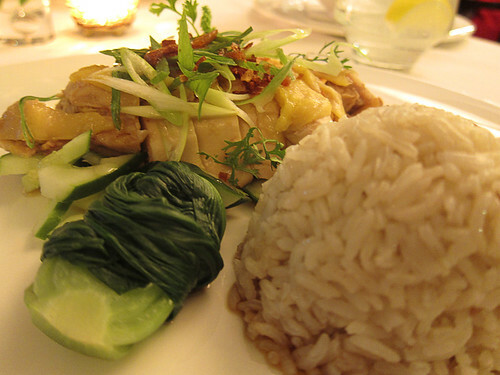 See the drippings under the rice? Yeeeaaaaaah! 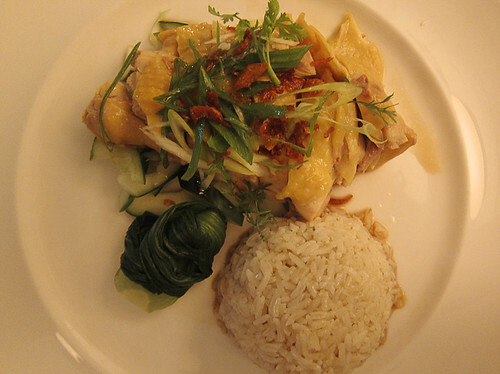 My only complaint was that there was something missing from this dish…another cup of Chicken Rice. With his responsibilities as the culinary head of Enderun Colleges, Chef See says that he doesn’t have much time to hold more of these kinds of events. Which is a shame, considering that this was probably one of the better Laksa and White Chicken I’ve had here in Manila.